Remission Statement: This is how the day went. Appointment time for CT was 9:30 AM, with a 9:15 arrival. Of course I left the prescription sitting on the dining room table, where I had left it out so I would remember to bring it. Doctor's office faxed it over and we were called back by 9:40 AM. I am so happy because I have so much fun to look forward to, wearing my favorite SU2C sweatshirt. Umm. 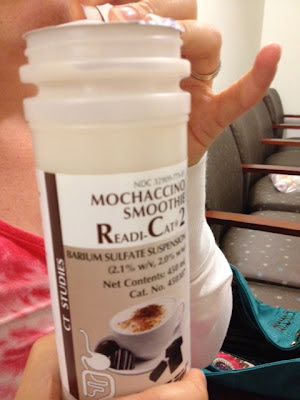 Mochaccino flavored barium. 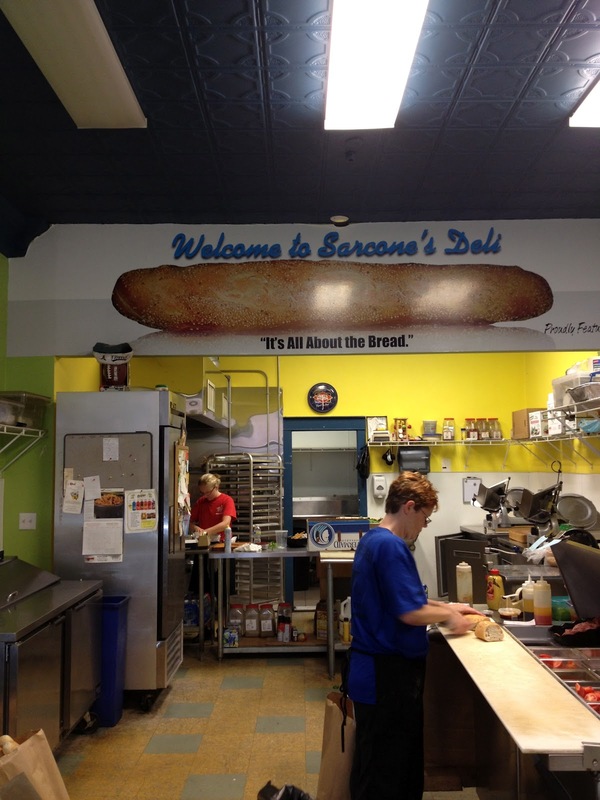 Doesn't get much better than this. Breakfast covered by insurance! 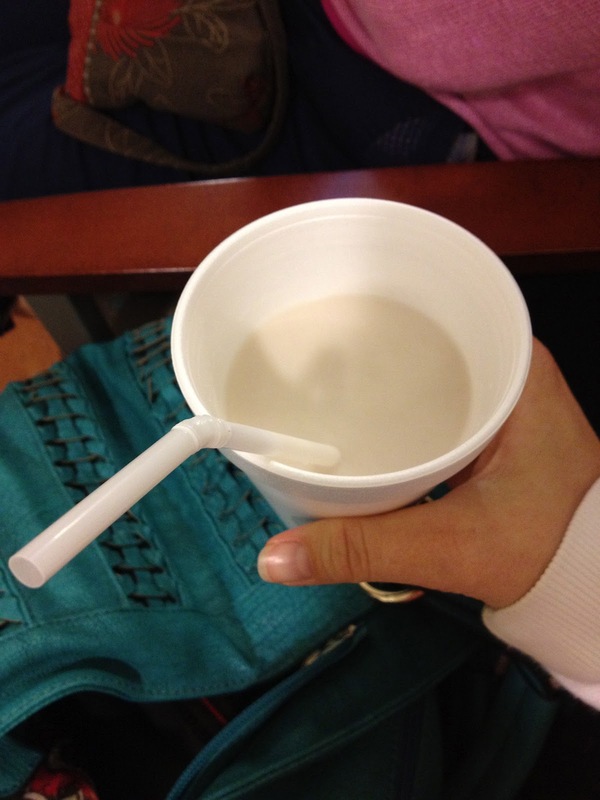 I *almost* drank the whole first container, then another patient ratted me out and the stupid tech made me drink ANOTHER CUP! Rude Albert. After waiting for almost 2 hours, I was finally scanned in 4 minutes. 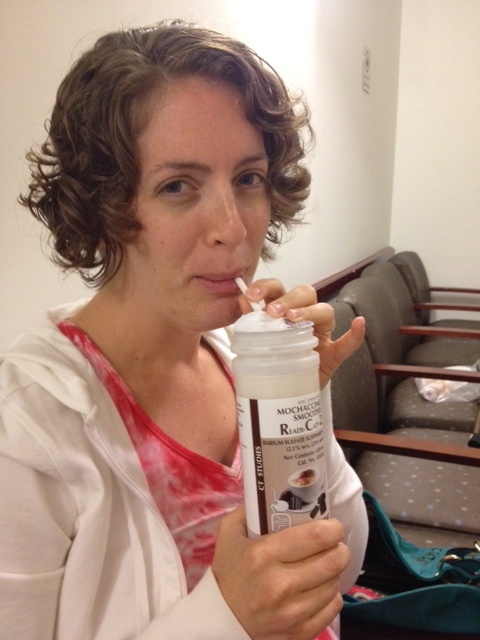 Now fully nauseated from the barium/contrast combo, we focused on lunch (hoping I'd eventually want to eat it). 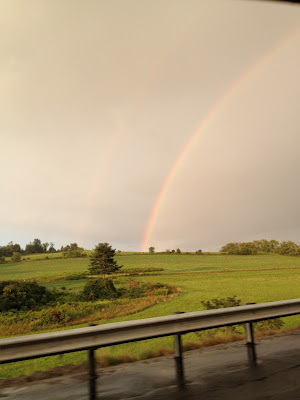 The rainbows have yet to bring bad news. Do you see the faint double? The Hawaiians say it's a blessing. 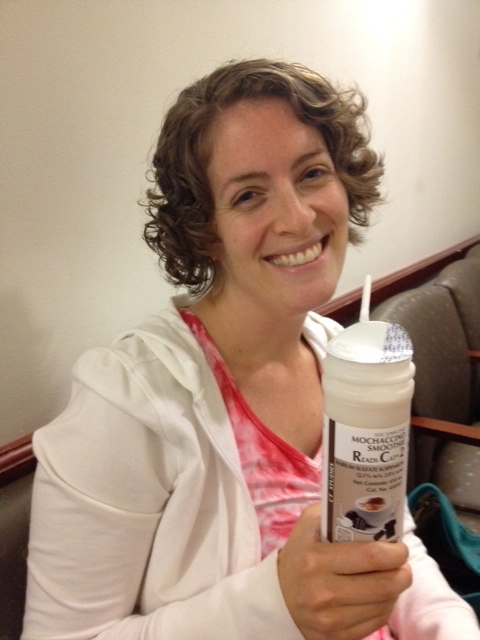 Thus completed the day of my 20 month scan.